After jealously keeping it a secret during the decades, Gaetan Bloom finally shares the secret of his famous Gypsy Thread. 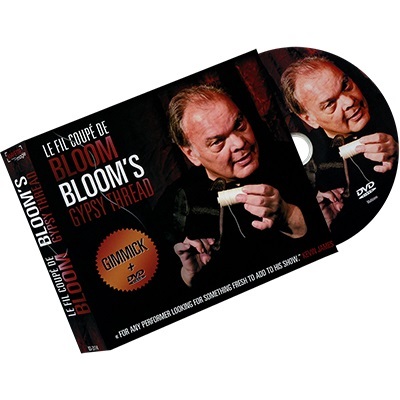 Bloom shares in a masterful way the difficulties of this great classic in magic. He reached an astounding clearness with the effect thanks to a devilishly simple method which will confuse even the connoisseurs. It has such an impact that he has chosen to perform this trick as the finale of his shows. A sewing thread is cut in small pieces by your spectators, then is magically restored in your hands.